Downsound Entertainment thanks the people of Jamaica, all the Reggae and Dancehall fans worldwide, and all of the artists, partners and sponsors for making Reggae Sumfest 2017 one for the record books and one of the greatest festivals ever in Jamaica….and helping us take the spirit, music, and culture of Jamaica proudly to the world….see you again July 15 – 21 , 2018 for the 26th Reggae Sumfest. ADVANCE TICKETS NOW AVAILABLE ONLINE FOR ALL EVENTS. Must be legal age to drink. Enjoy Red Stripe responsibly. CLICK BUTTONS BELOW TO WATCH AT SHOWTIME. HD Broadcast Live Streaming by Phase 3 Jamaica, and 360° by 360° Designs Los Angeles. Any problems on one, just go to the other. A section of the crowd attendig a previous staging of Reggae Sumfest at Catherine Hall in Montego Bay, St James. THE state of public emergency currently in place in St James will have no adverse effect on this year’s staging of the annual music festival Reggae Sumfest, according to organisers. The event is slated for July 15 to 22. Joe Bogdanovich, CEO of DownSound Entertainment and chairman of Summerfest Productions, promoters of the festival, said the operation, which is in place to reduce the rising levels of criminal activity in that western city, will result in tighter productions at all the events to meet the agreed timelines. “We’re starting early this year. The show on Friday night begins at eight o’clock and ends at six. We have some restrictions this year in terms of how late we can be out and I think that all these restrictions are rather positive for us because not only are we more safe than ever before, but we will be able to get to bed before the rooster crows,” Bogdanovich told the media at a rap session held at his DownSound Entertainment corporate office in New Kingston yesterday. “There’s no question that there is more safety in the country now and the fact the people who live there welcome this extension. Everybody is feeling a sense of normalcy in terms of being more comfortable and safe. The pre-events will end by 2 o’clock, all of them. We have very good safety there. We have never had a problem in the Sumfest area and that won’t change,” he continued. The state of public emergency was implemented on January 18 of this year for 14 days. It was extended by Parliament as required by the constitution. A further extension to August 2 was approved by the Senate yesterday. At the session, Bogdanovich skirted around announcing a definitive price tag to stage the event but noted that this year’s show should make money based on the level of sponsorship from local and international partners. “It’s a very expensive festival. We’ve expanded to eight days from seven; there are now 10 events. It costs money to project the image of what real reggae and dancehall music is all about and I think the production that we do compared to what you see in other countries is second to none. The box office certainly does not pay for the expenditure that we do. We are actually spending more money this year in terms of the production and the line-up than ever before. We have more meaningful sponsors than ever before. To do the kind of production that we do to make the world understand how dynamic reggae and dancehall music is, it takes a lot of production and we need international sponsors to support us and we’re on the road to doing this. I believe this year we’ll make money,” he said. First held in 1993, Reggae Sumfest has featured dancehall’s elite such as Beenie Man, Buju Banton, Lady Saw and Capleton. International acts, including TI, Common, Usher, Chris Brown, Snoop Dogg, R Kelly, Ne-Yo, Mary J Blige, and Alicia Keys have also performed on it. Joe Bogdanovich (third from right), Investor & CEO, Downsound Records is flanked by (from left) Lloyd Distant, CEO, Hardware & Lumber Limited; Delano Seiveright, Senior Advisor, Ministry of Tourism; Taurus Riley, recording artiste; Gary Matalon, CEO & Director, KLE Group; and Marcus Richards, Executive Vice Chairman of Argyle Industries Inc., and Director of Hardware and Lumber at the launch of the Caribbean Love Campaign in support of post-hurricane rebuilding efforts in islands affected by hurricanes Irma and Maria. Mr. Bogdanovich will leverage the businesses and brands with which he is associated to rally donations on behalf of the people in islands impacted by the hurricanes. Investor Joe Bogdanovich yesterday announced the launch of Caribbean Love, a hurricane relief campaign that will support rebuilding programmes in islands affected by Hurricanes Irma and Maria. As part of the campaign, Mr. Bogdanovich will leverage the businesses and brands with which he is associated to rally donations on behalf of the people in islands impacted by the hurricanes. Each business and brand will participate in the relief effort in their own way. “As human beings, we should all be deeply concerned by what has happened over the course of the hurricane season. But this is an opportunity for us to define who we are as Caribbean people. The devastation must be met with hope, unity and a sense of purpose,” said Mr. Bogdanovich. The brands and businesses Mr. Bogdanovich has made the launch partners of Caribbean Love are Reggae Sumfest, Downsound Records, Downsound Entertainment, FranJam, KLE, Usain Bolt’s Tracks & Records, H&L Rapid True Value, H&L Agro, Parkland Industrial Co., Argyle Industries and the R Hotel. Additional partners will be announced as the campaign is deployed. DSE will produce a benefit concert and telethon set to take place in Kingston, Jamaica tentatively scheduled for a date in November 2017. Artists from Jamaica and the Caribbean will be invited to perform. The Caribbean Love campaign will reach out globally to all continents and to millions of Caribbean music, culture, and lifestyle fans and various enterprises for financial and other types of support of this initiative. 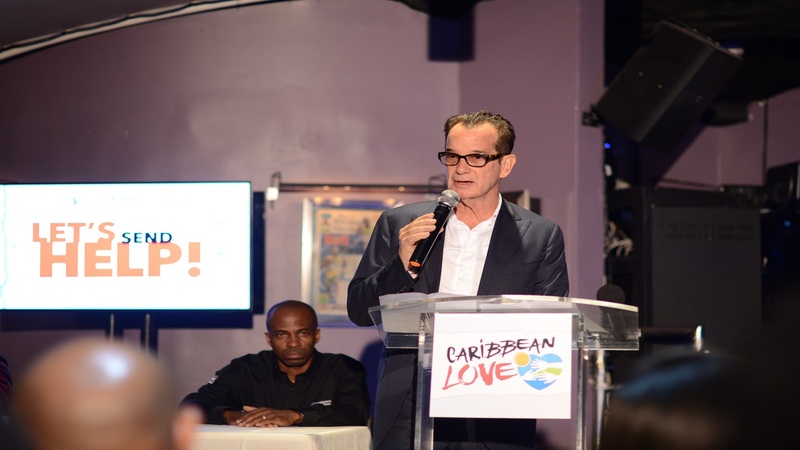 Mr. Bogdanovich appealed to corporations and artists to join the Caribbean Love movement. “I am calling out personally to corporations and artists to join the Caribbean Love movement. Now more than ever, we have to stand up for our Caribbean brothers and sisters. No one could have imagined that so much could be lost so quickly. Jamaica is in the position to help in a meaningful way, but we must act now, and we must act together and make an important difference,” he said. “We as a group are committed to helping our Caribbean brothers and sisters in this tremulous time of need. We are committed to making a difference,” said Mr. Bogdanovich. He further stated that the Caribbean Love visit the affected islands to meet with government and development organizations and local charities to develop a clear understanding of the help needed to return growth and stability to these countries. Joe Bogdanovich, Investor & CEO, Downsound Records shares details on the Caribbean Love Campaign in support of post-hurricane rebuilding efforts in islands affected by hurricanes Irma and Maria. Mr. Bogdanovich will leverage the businesses and brands with which he is associated to rally donations on behalf of the people in islands impacted by the hurricanes. “I am calling out personally to corporations and artistes to join the Caribbean Love movement. Now more than ever, we have to stand up for our Caribbean brothers and sisters. No one could have imagined that so much could have been lost so quickly. Jamaica is in the position to help in a meaningful way, but we must act now, and we must act together and make an important difference,” he said. Josef Bogdanovich has defied the naysayers who suggested that Sumfest could not rely solely on reggae/dancehall acts for its survival. I was more than happy to hear that, according to Dr David Panton, a Jamaican diasporic bond issue is soon to be a reality. Some cynics will say they have heard this song before, but I have no choice but to be hopeful. I had actually made the call for floating such an instrument in my presentation at the 2006 staging of the Jamaican Diaspora conference. I stated that the funds generated from this bond issue should have been the basis for a cultural venture capital fund. I argued then that there were a number of features to such a financing modality which would be advantageous to the Jamaican economy. If we need any further evidence of the current viability of our music, we should look no further than the success being enjoyed by Jamaican-infused pop hits internationally. We should point out that the biggest hit for this year has been influenced by Jamaican music. It’s called Despacito. It is a reggaeton hit. I pointed out in my presentation then that what was needed was indigenous foreign direct investment, which sounded slightly oxymoronic. This is simply foreign currency investment made in the Jamaican economy by our nationals living overseas. I explained that this type of funding arrangement does not carry the attendant volatility of conventional modes of foreign direct investment. Some describe this investment from our nationals as patient capital. We have had periods of massive foreign direct investment in Jamaica which did not see commensurate increases in real economic growth. This was largely due to the high levels of leakages in the Jamaican economy, which can be attributed to the repatriation of profits and the low capacity of our economy to absorb the benefits of the investment due to its inability to provide the goods or services required by investors. These goods and services are often supplied by foreigners, which results in an outflow of funds from our economy. Former Prime Minister Bruce Golding described the scenario as one in which the money enters the economy, spins around, and then departs with hardly a trace. We have to find a way of holding on to the money when it comes into our economy. Training will obviously be a critical component in this paradigm. More trained Jamaicans will mean fewer outsiders having to provide certain goods and services to satisfy the requirements of the investments. What is also important is for Jamaican tertiary institutions to become more active in the placement of students in income-generating ventures through the establishment of accelerators and incubators. This will also serve as a source of revenue for these colleges and universities, and might ease the pressure on these institutions to create an oversupply of graduates on the job market since they will be less reliant on tuition fees for their viability in such a circumstance. It is a well-known fact that Stanford University in California is seen by many as the cradle of Silicon Valley. With the requisite investments and appropriate alliances, our tertiary institutions can become real engines of economic growth. I have long contended that it will be the cultural industries which will allow Jamaica to continue to grow the tourism product while minimising the damage done to the carrying capacity of the infrastructure and ecosystem. The fact is we cannot indefinitely predicate tourism growth on increased visitor arrivals. We will soon have to look at getting more dollars from fewer visitors. Festivals are able to achieve this objective. With more festivals we might not have to build as many huge facilities with their attendant damage to our environment to accommodate more visitors. The math is simple: 1,000 visitors spending US$100 each is far better for our economy than 10,000 injecting US$10 per capita into our system. The more entertainment we have, the more revenue we can secure from our visitors. We should seek to promote major events which showcase not only our artistic and musical talents but our sporting prowess as well. There is no reason we cannot pair major sporting events with music festivals which would draw on the disparate audiences from both disciplines. It is a fact that touring, which includes festivals, is now the most lucrative profit pool in the music industry. The old business model which saw artistes touring to boost the sales of their recorded products is now history. Touring is no longer a loss leader in the music business. The currently prevailing model sees artistes generating the bulk of their revenue from touring. Incidentally, Jamaica prefigured this international trend as most of our artistes had long been more reliant on live performances than on recordings for their income. There was a time in Jamaica described as the “silly season” when patrons were bombarded with a flood of stage shows. Those days are now gone. Ironically, the current trend seems to suggest that we are having fewer festivals in Jamaica and in the diasporic communities than we did a few years ago. In years past, almost every parish in Jamaica had its own major stage show or festival. There was the Morgan Heritage-promoted East Fest in St Thomas and the Worrell King-led Western Consciousness in Westmoreland, with other parishes having such events as Reggae Bash in St Ann, and Sting in St Catherine. Rebel Salute represented Manchester, while the GT Extravaganza was for St Elizabeth. Most of these events are no longer on the calendar. Happily, Sumfest continues to be the St James music festival and, if we are to base our assumptions on its future from its most recent staging, the prospects seem very good. Josef Bogdanovich has defied the naysayers who suggested that Sumfest could not rely solely on reggae/dancehall acts for its survival. What is more, the attendance at the Friday night staging of Sumfest this year belies the notion that dancehall is dead. I am very happy that Bogdanovich has seen it fit to exemplify the Jamaicanisation of the festival, as this will mean that more of the money spent on artistes fees will remain here. I always had a difficulty with an event which calls itself a reggae festival relying on overpaid overseas acts from other genres to be headliners. 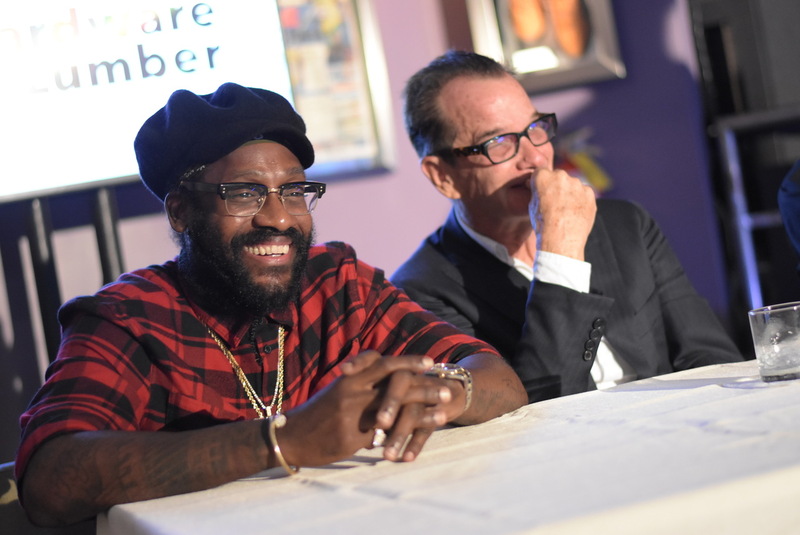 Bogdanovich has shown, and so has Rebel Salute, that we can have truly reggae-focused events in Jamaica which are hugely successful. Of course, the long-term viability of these events will depend on their being profitable. I am unable to say whether Sumfest made money this year as I am not privy to the fees paid to the artistes, nor am I aware of the gate receipts. The one thing I can say is that even if Jamaican artistes were paid hefty fees for their appearances at Sumfest, this might be more beneficial to our economy than in the past when promoters were shelling out huge amounts of money to secure foreign acts.